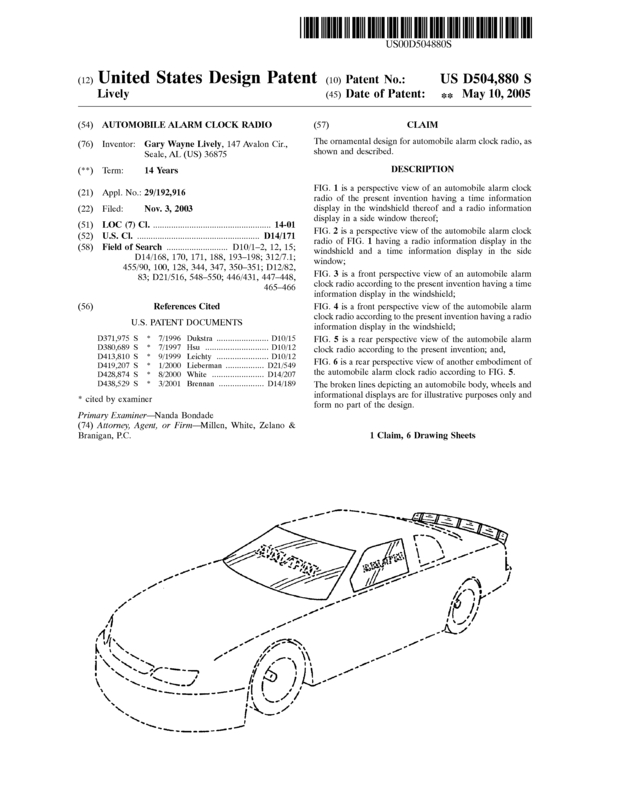 This patent is for a race car alarm clock radio. 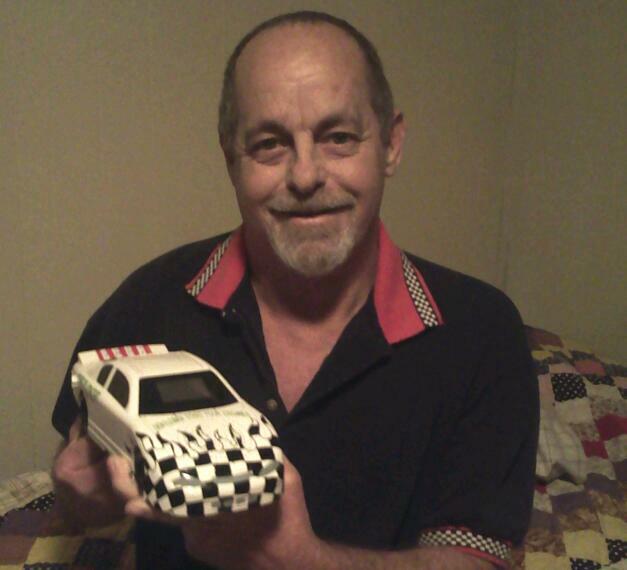 It is a whatta concept 1/18 Scale am/fm race fans race car alarm clock radio. the stock car replica can be done in all driver paint schemes. The Windshield is the Time and Radio Display, the Roof is the Alarm off button and the rear Spoiler is the time and alarm set buttons. The best part is it awakens the user by announcing: Drivers Start Your Engines then you hear real race cars cranking with fans yelling in the background. repeating every 12 seconds till you touch the Roof at which time it resets to same time tomorrow. It runs on 3-AA bat. It also comes with a plug in adapter. the whatta concept race fans clock would be a fun and distinctive way to wake up each morning, helping fans get into a race day mood and start each day on a positive note. this whatta concept race fans alarm clock would serve as a distinctive gift or collectable, especially for die hard race fans. this whatta concept am/fm race fans alarm clock may be offered in a wide range of design. Page created at 2019-04-25 0:00:42, Patent Auction Time.